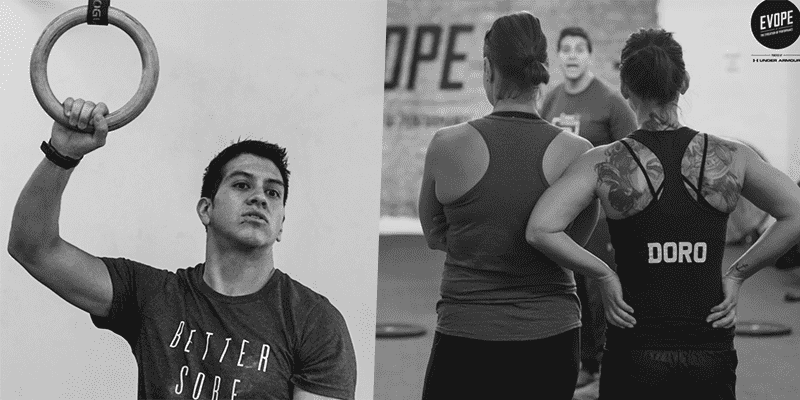 CrossFit Problems: Is it Bad Programming or Your Mindset That is Holding you Back? With his statement, I asked myself if I will have the time and the mindset to dedicate myself in this way. I also ask this question to all of my athletes. Even with the level of feeling comfortable in the squat position, it doesn´t mean you will be able to compete on a professional, or even high, level. The past two years, I couldn´t find an answer to the question I had, but it has became more clear and distinct in the past weeks. Is it the programming that is wrong or is it about the mental abilities of the athlete? Sport is a reflection of your character, how you act and behave in training is how you are at work, with your family, friends or colleagues. Watching how people behave in sports gives me a deep insight into their personality, whereby I can then assess people more effectively. In my sport, CrossFit, or in any other sports, we see (professional) athletes on social media every day. And here is the problem: they almost always represent themselves in a successful spotlight. They achieved something, but it only reflects 1% of the actual time they invested to be able to do what they just posted – and therein lies the problem for me. People let themselves be influenced so easily with such content on Instagram, Facebook or YouTube and fail to see how much work and effort was needed to be able to upload that 10 second clip on social media. The majority of beginners and even intermediates in CrossFit think they are able to compete in CrossFit competitions or can accomplish special movements like ring muscle ups or pistol squats after training for 1 month or following a 12 week programming cycle. Let´s take a look at Mat Fraser, The “Fittest Man on Earth 2016 & 2017”. This guy has trained since a young boy and followed a plan where he probably repeated the same movements over and over again and worked on his strength continuously throughout his life. And this exactly is the difference between a high-level performer and an amateur athlete, who works on his/her goals now and then and not daily. In the past few weeks, after watching and working with a lot of people, I found an answer to my question. Stick to one thing continuously and don´t start over with new things again and again. I experienced a lot of amateur athletes, who ask themselves why they haven´t got better yet after only performing half of the plan, instead of following it to the end and believing in their performance. Why am I not as good as the other person? In the worst case, they stop the current plan and start something new without waiting for the results or even evaluating the cycle, what is working for them and what is not. They stop with the plan or programming early, hoping that they will find a shortcut to success with the new plan and never find out what works best for them. Every body is unique and has its differences when it comes to setting the right training stimulus. Either in the strength development through the structure of the muscle fibre, regenerative capacity, nutrition, the general environment or the mindset. Additionally, I ask myself if those athletes are the same when it comes to their private life? The moment something doesn´t work out (immediately) at work, with friends or in a relationship – will they abandon it and start something new? Or will they work on the weak spots, fight for the goal and stay the course? These are the questions I faced and tried to answer the past weeks, it´s up to you how you will reply to them.